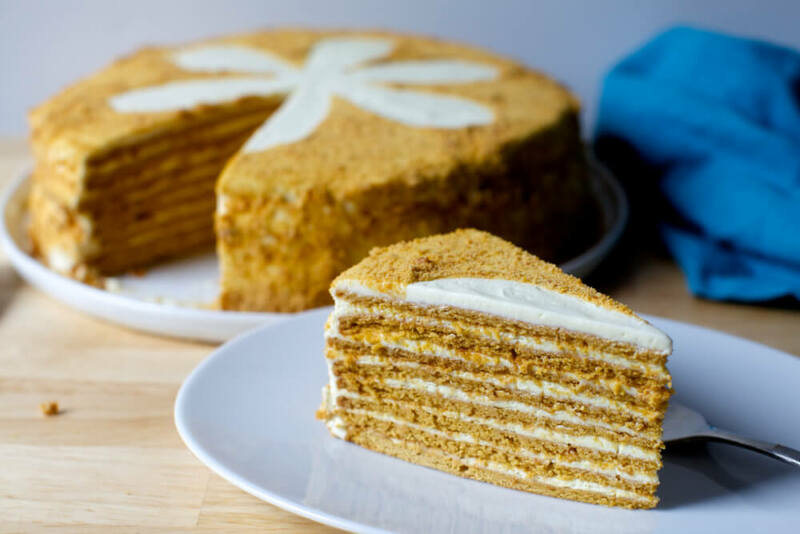 This 5-ingredient honey cake tastes sweet and delicious, and is ideal to pair with a cup of tea or coffee. It's made with butter, sugar, honey, egg and flour. Maybe you already have all or most of those items in the fridge and cupboard. Make sure the butter mixture has cooled before you add the eggs, else the eggs will begin to cook and that will lead to a poor texture in the finished cake. This mouth-watering cake keeps for up to 5 days in an airtight tin at room temperature. This type of cake is sure to appeal to the kinds and the grownups too. Little ones tend to love the sweetness of honey, and a slice of this is sure to put a smile on every face. Grease and line a 20cm round cake tin, preferably a spring-form one. Now cut the butter into chunks and put them in a pan with the sugar and 250g of the honey. Melt this mixture over a low heat. Turn up the heat and boil for a minute, then cool for 20 minutes. Beat the eggs into the cooled mixture with a spoon. Sift the flour into a bowl and then pour in the egg mixture. Beat until runny and smooth. Bake for about 55 minutes or until the cake is golden and springs back when pressed. A toothpick inserted into the middle should come out clean. Turn the cake on to a wire rack to cook. 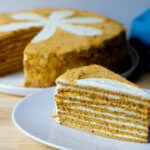 Warm the remaining 2 tablespoons of honey in a pan then brush it over the top of the cake.